Smile Essential in Leicester is pleased to offer gum contouring and teeth reshaping cosmetic dental procedures to help smooth an uneven gum line and give you a smile of which you can be proud. If your gums rest too low or too high on your teeth making you feel unhappy with your smile, you may be a candidate for gum contouring surgery carried out by our talented Leicester dentists. The procedure is also known as gum reshaping or tissue sculpting. Gums that are too high making the teeth appear long are often caused by gingival recession, a condition in which gum tissue pulls back from a tooth and exposes the tooth's root. This can lead to serious dental problems such as decay and tooth loss. Gum recession may also be a sign of periodontal disease, the deterioration of the gums and bone, the supporting structures of the teeth. Gum contouring alone is considered a cosmetic procedure as most people have their gums reshaped to improve the appearance of their smile. However, some people undergo gum contouring surgery as part of other necessary periodontal procedures, such as crown lengthening, pocket reduction, and regenerative procedures. We offer a free consultation for gum contouring and tooth reshaing, so, if you are considering this treatment and would like to find out more, please contact us today to book. Tooth reshaping or contouring is one of few instant treatments now available in cosmetic dentistry at Smile Essential in Leicester. Dental reshaping and contouring is a procedure to correct crooked teeth, chipped teeth, cracked teeth or even overlapping teeth in just one session. The dental contouring procedure can even be a substitute for braces under certain circumstances. It is also a procedure of subtle changes - a few millimetres of reduction and a few millimetres of tooth-coloured composite can create a beautiful smile when performed by one of our cosmetic dentists in Leicester, with no discomfort to you. Tooth reshaping, or dental contouring, is commonly used to alter the length, shape or position of your teeth. 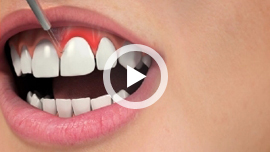 If you want your teeth to appear less crowded, without chips or fractures, or without pits or grooves in the enamel, tooth reshaping might be a suitable treatment for you. A little dental contouring can often make a huge difference in the appearance of your smile. Tooth reshaping or tooth sculpting is a safe and conservative way to improve your smile and should be limited to minor changes or combined with veneers or bonding for the best results. Contouring teeth may also help correct small problems with bite. It is common for bonding to be combined with tooth reshaping to achieve a beautiful smile, and even veneers occasionally. Only a small amount of tooth enamel is removed, contouring your problem tooth into a more pleasing shape for an improved smile. 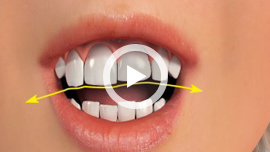 The tooth contouring procedure is quick, simple, painless, and inexpensive. There are limits. You may be at risk for tooth breakage and decay if too much enamel is removed from your teeth. If your teeth were uneven because you grind them, they'll become uneven again until the grinding issue is resolved.